We have over 25 years of experience installing cedar shakes in Kelowna and area. Low Carbon Footprint – production emits the lowest amount of pollution compared to another roofing products – also with its lighter weight, transportation emissions are lower. 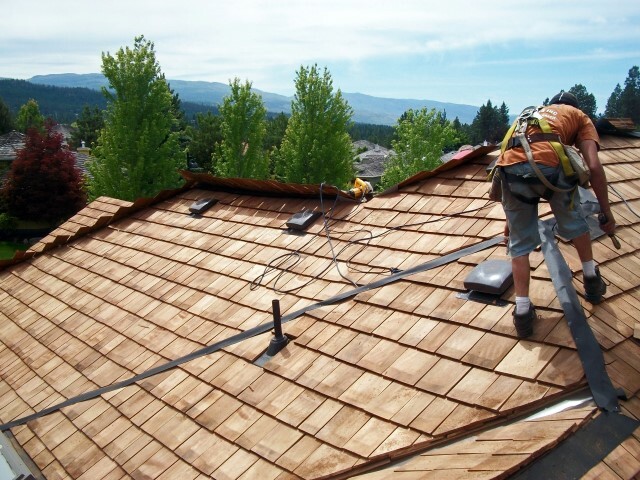 Roof cedar is resistant to high winds, and does not add excessive weight to the structure of the home. 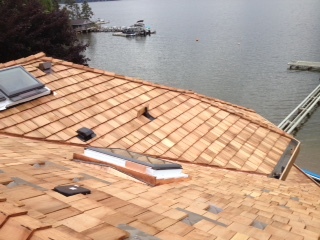 Cedar shingles and shakes have been used for hundreds of years and have proven their durability in all kinds of climates. Their rich, warm colour and texture blend beautifully in any natural environment. The natural effects of aging and weathering give shingles and shakes, in time, an attractive silvery gray colour. 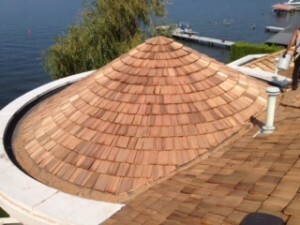 Cedar shake roofs are more rustic in appearance, with shakes having been split to reveal the natural grain of the wood. Shakes are typically thicker than shingles, and may be uneven in width and length, producing a textured and more varied roof. Cedar shakes are made by carefully cutting down and splitting pieces of cedar. 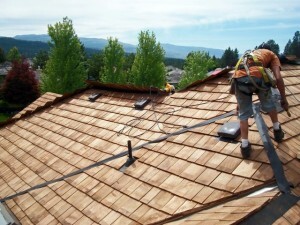 Within the cedar shake shingles category, hand-split and taper-sawn cedar shakes are the two options. The hand-split shake has a rough outside and creates a more rustic effect. The taper-sawn cedar shake is sawn on both sides and retains the thickness and strength of a shake while remaining closer to the texture and tailored appearance of a shingle. Taper-sawing means the shake is cut so it’s slightly thicker at one end, creating its taper. If you’re interested in getting cedar shakes price estimate, get in touch with us.